It is difficult to know if the strong feelings that surrounded a historical font were due to the sheer newness of Germany or it these reactions to the possibility of using Antiqua were out of a genuine concern for German history. Bismark, the first Chancellor of Germany, once declared that he refused to read “German books in Latin letters.” Bismark’s nationalism pointed to the uncomfortable fact that the Roman font was already being used in Germany, but his sentiments were also nothing new. The poet Johann Wolfgang von Göethe had many publishers, but one of them, Johann Friedrich Unger, also took a stand against the Roman typeface for the poet’s writings. ”Why should we Germans renounce our originality? To please foreigners who learn our language?” he asked, “Does any nation do the same for us?’‘ The nineteenth-century argument carried over into the twentieth century and the discourse on the fraktur font centered on national identity. In 1910, the proto-fascist Adolf Reinecke wrote The German alphabet. Its Origin and Development, its Expediency, and Its National Significance (Die Deutschen Buchstabenschrift) or The German Alphabet, for short, stating that “Fraktur is more compact in printing, which is an advantage for fast recognition of word images while reading. Fraktur is more suitable for expressing the German language, as it is more adapted to the characteristics of the German language than the Latin script. Fraktur is still prone to development; Latin script is set in stone. Fraktur makes it easier for foreigners to understand the German language..” In other words, Fraktur was uniquely German. 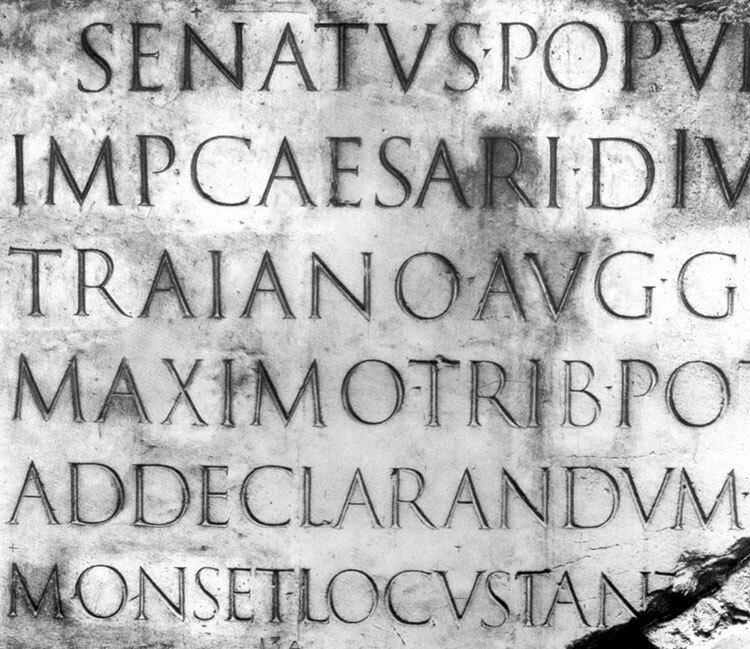 Even though the font was an old one, it was not antique, like the Roman script which was decidedly not German. This alien Latin lettering was the psychological equivalent of the Roman army invading the territory of the ancient Germanic tribes. The fate of the “new typographic artists” in Germany will continue in the next post.